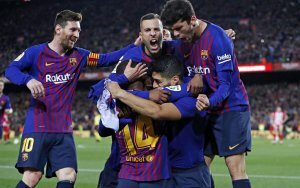 Two goals from Luis Suarez and Lionel Messi within two minutes ensured Barça broke the resistance of 10-man Atletico Madrid on Saturday to go 11 points clear of their La Liga title rivals. Diego Costa was sent off in the 28th minute at Camp Nou after insulting the referee but while Atletico held on for almost another hour, Suarez and Messi both struck late to seal the 2-0 win. 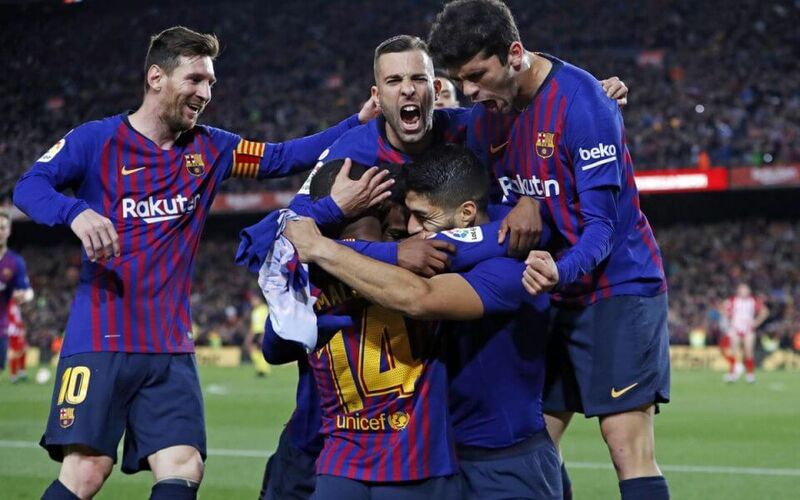 Victory leaves Barça almost out of sight with 7 games left to play and maintains momentum ahead of Wednesday’s trip to Manchester United in the first leg of the Champions League quarter-finals. Antoine Griezmann, who decided against joining Barcelona last summer, was whistled as his name was read out before kick-off. Meanwhile, Zinedine Zidane refused to guarantee Gareth Bale’s future at Real Madrid after the Welshman struggled again in a 2-1 victory over Eibar on Saturday. Karim Benzema scored twice at the Santiago Bernabeu as Madrid came from behind, ensuring the groans and whistles that had soured the atmosphere for much of the opening hour turned to cheers at the end. Much of the frustration was again directed at Bale, who started after being dropped by Zidane for the defeat to Valencia on Wednesday.